April showers bring May flowers—and though April may be winding down, some “showers” happen all year round. 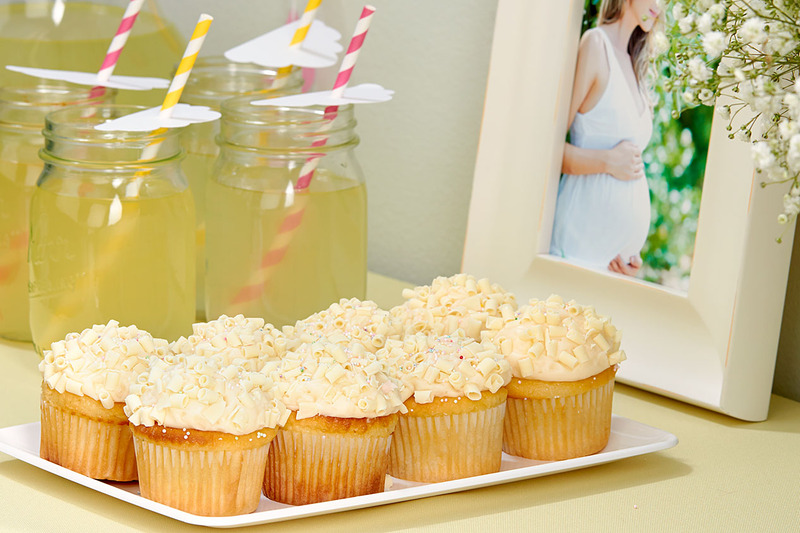 We’re talking about baby showers of course! 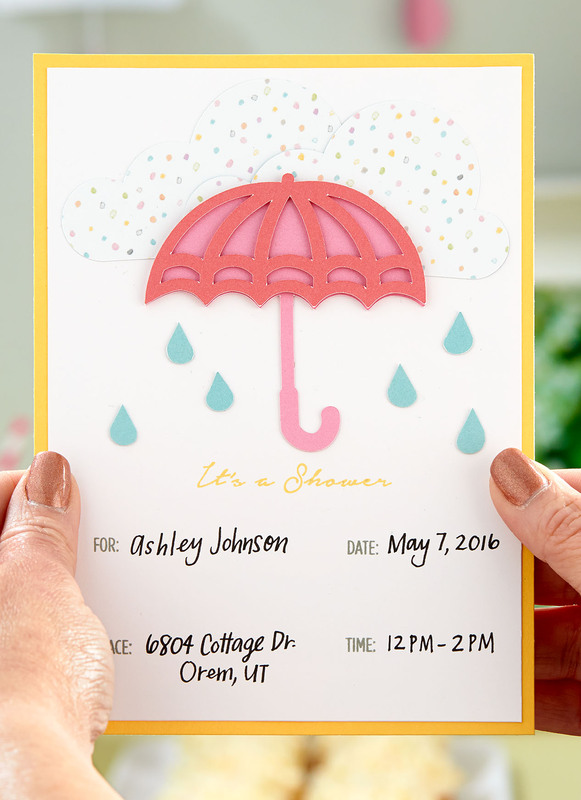 What better way to celebrate the promise of new life than with a shower-themed baby shower? This post is just bursting with great artwork ideas for making your next shower a truly inspirational one. Every good party starts with a stellar invitation. There’s nothing quite like getting fun snail mail, especially if it’s a handmade invitation! 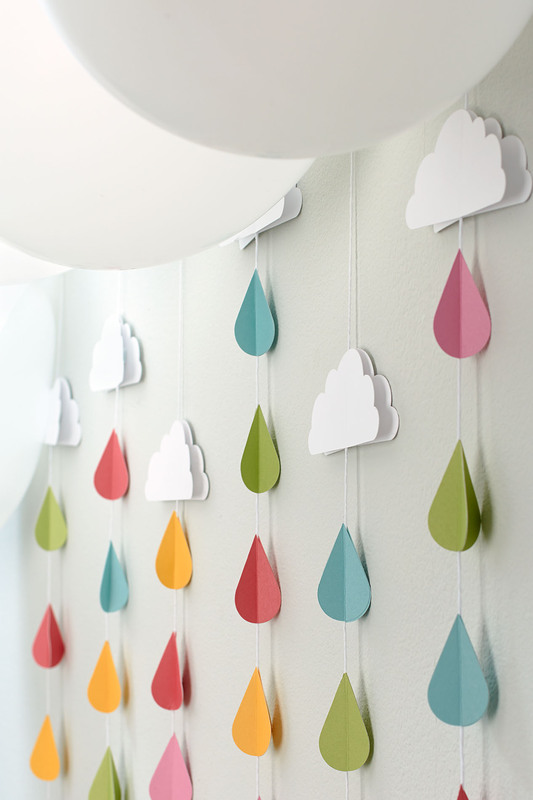 These 3-D shapes are simple to create with your Cricut® machine and create such a unique backdrop. We used a similar technique in this video showing how to make a sweet baby mobile. They’ll be the talk of the party! Of course we want the food to play into our theme, which is why we went with these white, fluffy cupcakes. 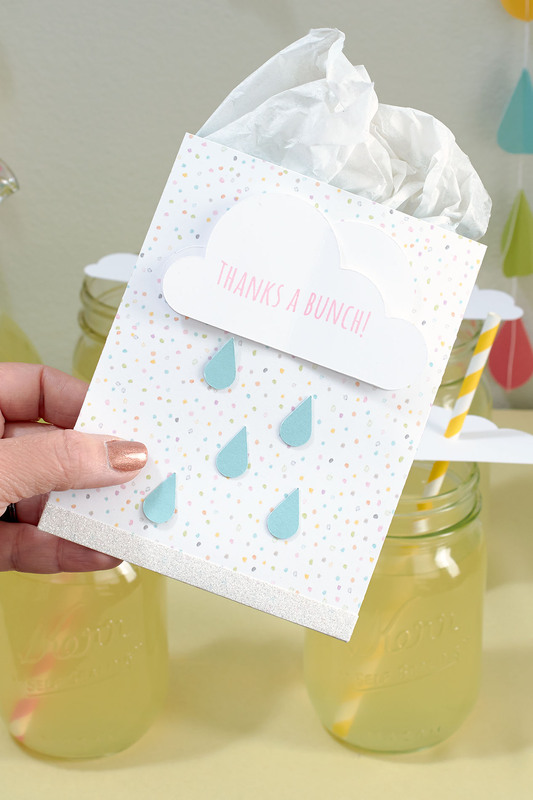 And the cloud-embellished paper straws behind add some fun to our jars of lemonade. 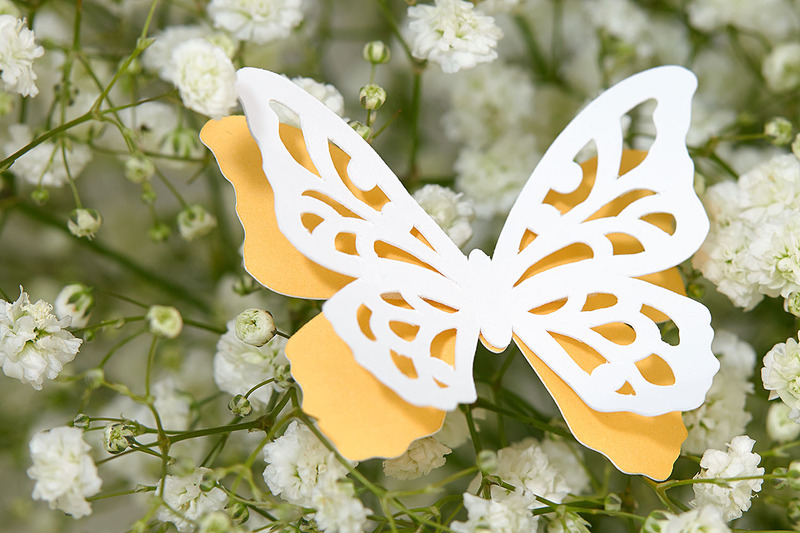 A “cloud” of fresh baby’s breath fits right in, and we just had to embellish with these delicate little butterflies. When the festivities are over, send your guests home with a raincheck—oh, we mean a party favor! A colorful paper pouch filled with goodies or gifts is just the thing. We chose a pattern from one of our newest paper packets, Calypso, which will be available starting May 1! 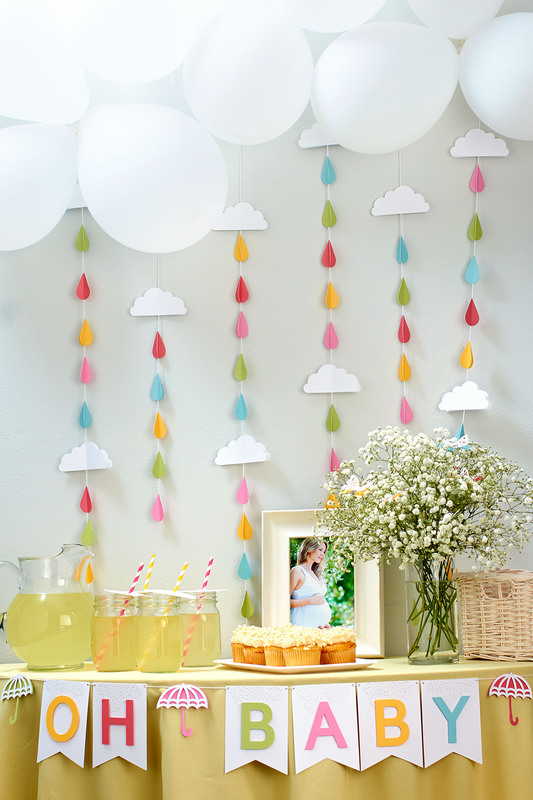 I have a few baby showers to plan and so these are amazing ideas.